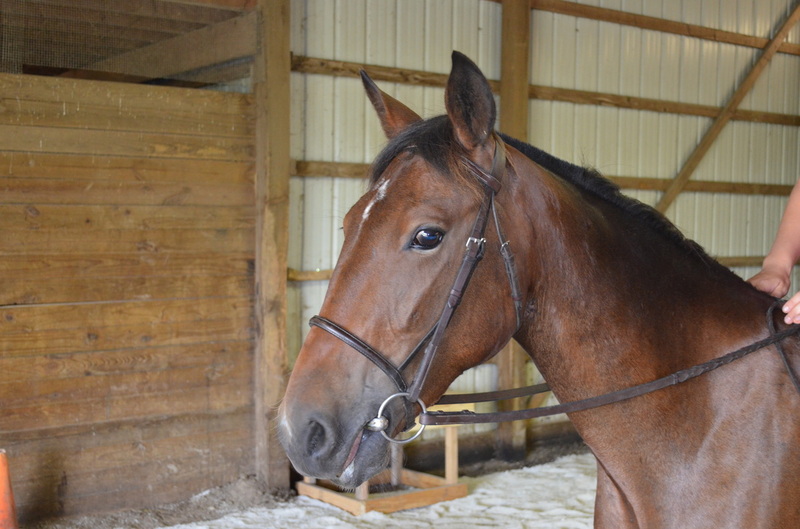 Junior came to us via an Amish Auction in Clare, Michigan on May 3, 2015. Junior seemed sweet and curious but was very nervous of people when he first arrived. He stands approximately 15.1 hands. He should grow another inch or so in the next year. He is sound with no issues or health concerns. Junior has spent the last few months at our training foster who has helped him gain trust in people, learn ground manners, and get started under saddle. Junior had good ground manners. He stands tied, picks up his feet, leads, and loads. 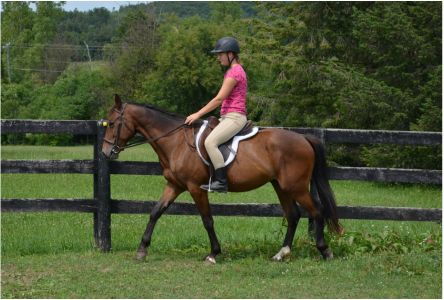 He has a solid foundation with about 30 days under saddle. He walk, trots, and canters. He moves off leg pressure, turns on the hindquarters and the forehand. He needs work taking consistent contact with the bit and steadying his head. After evaluation we have determined he would not be suitable as a speed horse but would make a nice english horse, trail horse, dressage/western dressage horse. Junior is a light and sensitive horse who will do best with an experienced, consistent and gentle handler. He is currently located in our foster home in Oxford, MI.